A 45000 litre steel liquid storage tank, suitable for a B100 Biodiesel product measuring up at 9000mm (L) x 2500mm (W) X 2500mm (H) has recently been supplied to a leading nationwide integrated waste management business that provides collection, treatment, recycling and technologically-driven energy generation services. The tank, manufactured from a quality 6mm plate, came complete with a large fully lockable security walk in cabinet with roller shutter door which would house all the dispensing equipment including the fill point, 10m hose reel, fuel management system, bund, and overfill alarm unit. The client opted for extra secure tank features hence choosing a fully lockable man lid the high security cabinet. The tank also came complete with a fuel management system consisting of a pulsed output flowmeter, software, manager key and a total of 50 user keys for the various drivers that would require access to the liquid. Tuffa not only manufacture tanks for Oils, Diesels, Chemicals and others, but tanks suitable to store up to a B100 mix of Biodiesel. Most recently, Tuffa manufactured a 41000 litre steel tank measuring in at 9000mm (L) x 2500mm (W) x 2500mm (H), the client being a waste recycling company in Oxfordshire. The client had some specific requirements as well as opting for recommendations offered by Tuffa. The tank was equipped with a high flow dispensing system, with a fuel management system suitable for use for up to 50 users, the Tuffa FMS fuel level monitoring system, 10m retractable hose reel and lockable access points, all fully suitable for the B100 mix. 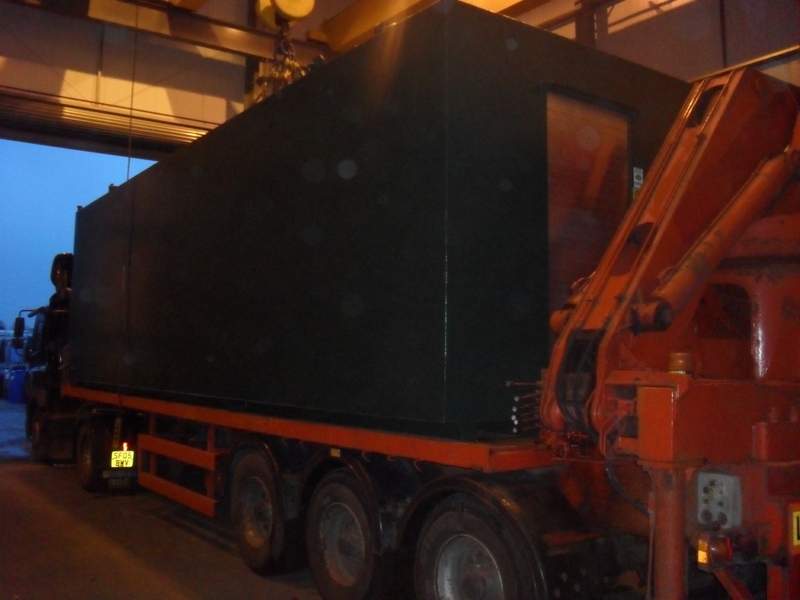 The tank was manufactured and delivered direct from the works at Tuffa in less than 4 weeks and crane-offloaded on site which Tuffa had arranged on behalf of the client. Tuffa manufacture a range of standard and bespoke steel tanks.